Whether you are a beginner who wants to learn when, where and how to fish, or a seasoned angler seeking to experience some of the finest light tackle and fly fishing opportunities available, we will design a trip to meet your needs. 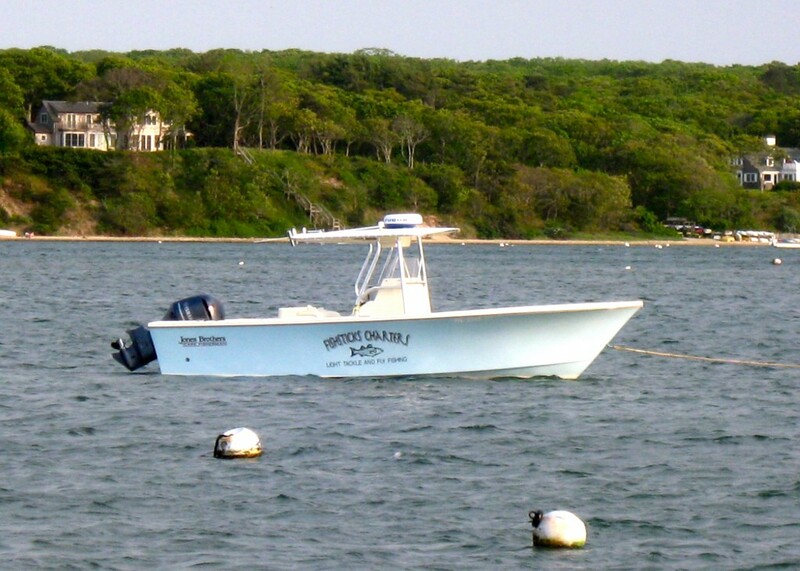 Martha’s Vineyard provides some of the finest light tackle and fly fishing in New England. Experience this legendary fishing for striped bass, bluefish, atlantic bonito and false albacore while you enjoy the beautiful New England scenery. READY FOR THE 2019 SEASON!! Our 26′ Jones Brothers Cape Fisherman was custom-built in 2012 to our specifications and the exacting standards of master boat-builder Donnie Jones. With its deep-vee hull, this boat provides a smooth, dry ride and a comfortable, stable platform while fishing. The center console design allows for 360 degrees of walkaround and plenty of deck space for casting and fighting fish. The boat is powered by a 300 hp Yamaha four-stroke outboard and equipped with a full range of electronics, including VHF radio, GPS, sonar, radar and Sirius marine weather, and top-quality safety gear to meet or exceed all Coast Guard regulations. Fishsticks Charters welcomes beginners, and courteous, professional assistance is tactfully tendered while fishing. We also offer fly fishing instruction on or off the water for individuals and groups. 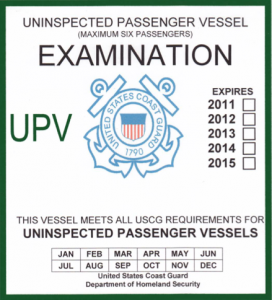 The boat routinely undergoes a rigorous examination, conducted by members of the United States Coast Guard Auxiliary, This voluntary examination checks all required safety and navigation equipment and documentation and certifies that we have met all the USCG requirements for our class of vessel.